A takeover of Gala casinos by Rank casino has been referred to the competition commission because it would create a firm with 44% market share. For those studying A2 economics (especially, Work and Leisure, OCR economics); this potential merger of two casinos makes an interesting case study. The merger between Rank (25% market share) and Gala (19% market share) would give the new company 44% of the market. The largest firm at the moment is Genting with 28% of the market. The gambling market is better defined in a wider context. e.g. people choose to go to a casino or they choose to stay at home and gamble on the internet. You could even argue that casinos face competition from other forms of leisure activities, such as going to the cinema. People choose an evening’s entertainment and the casino is an option v going to the theatre or cinema. Rank offered to divest some casinos in areas where there would be no local competition. (e.g. a national market share of 44% may hide a much bigger local market share. In a city with two casinos, this merger may give them a monopoly in that city. Are there any benefits to the consumer from this merger? It is hard to see any significant economies of scale. Perhaps some marketing and financial economies, but generally these will be quite limited compared to say two manufacturing firms merging. Does the firm need more resources to invest and research and development? Again it’s hard to see this as a benefit. 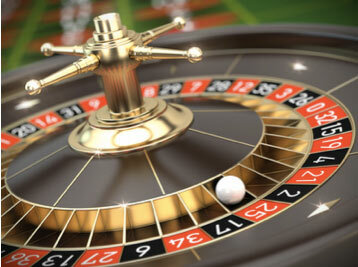 Could the casino industry decline due to online competition? The OFT mention high barriers to entry in the market – for example, cost of building, brand loyalty to existing casinos, some towns only big enough to support one or two casinos. Casinos will face some competition from other forms of gambling and leisure, but these are not close competitors. Most people going to a casino will have a different experience to betting at home on their computer. This merger will create a firm with 44% market share – which is quite a significant reduction in competition and well over the 25% legal definition of a merger. It could lead to higher profit margins at the expense of the consumers. The merger gives few if any obvious benefits to consumers.